Hi all! I'm back with my second meal plan of the year! 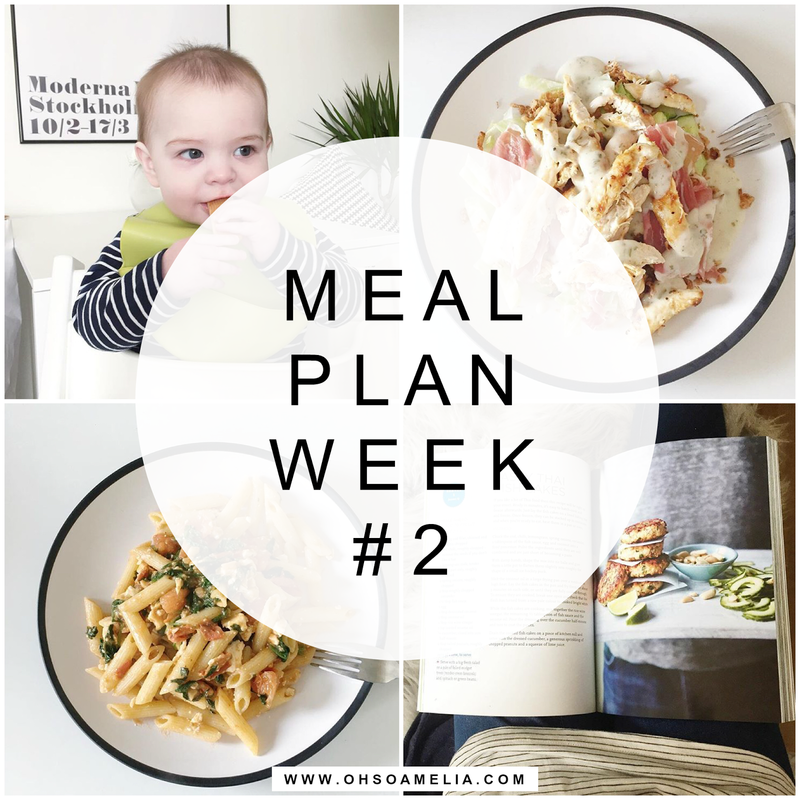 I took to Pinterest this week for some meal planning inspiration as I was feeling a little unmotivated when it came to doing the weekly food shop earlier in the week. I really want to cook more meals this year and try new foods so I have chosen a few new dishes which I haven't cook before. I have done many of these meal plans in the past but this year I want to carry on sharing them each week to give me more motivation to stick to them. So here's our meal plan for the week. I don't always have the named meal on the correct day as I tend to decide what to have on the day so I will then switch it around a bit. I've had a few people ask on Instagram what the kids eat when I have my chinese takeways, and on the nights I know I'll be ordering one they will usually have chicken nuggets and chips or pizza. Amelia will sometimes have a chinese with me as she's finally being more adventurous and trying new foods! About time!! Chicken Brocoli Alfredo - This is soooo good! What's on your weekly meal plan? I'd love to know! I'm always looking for new meal inspiration. Chicken and Broccoli Alfredo sounds amazing! Great looking meal plan. I always find if I share my plan I stick to it, long may it continue.